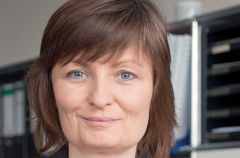 This page shows the latest Beate Wieseler news and features for those working in and with pharma, biotech and healthcare. We provide evidence reports for decision-making in the German healthcare system,” explains Dr Beate Wieseler, head of the department of drug assessment at IQWiG. ... This has been a major issue with us for years,” says Dr Wieseler.